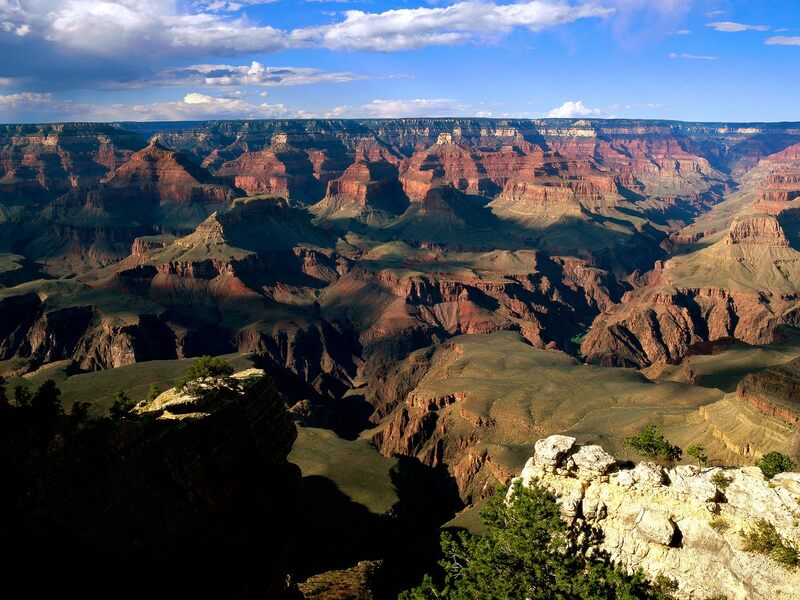 The Grand Canyon is as much a symbol of America as it is an icon among national parks. Established 1919, the 1.2 million acre park is one of the most visited in the system, attracting almost 4.5 million visitors every year. Its resplendent, dusk light-catching walls — which display more than 2 billion years of the earth’s geological history — stretch 277 miles along the Colorado River. 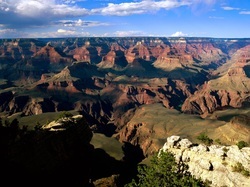 At 1.6 miles deep and up to 18 miles wide, it is one of the largest canyons in the world. Its 15 trails and surrounding historic districts provide many opportunities for hikers, bikers and sightseers to take in the canyon’s awe-inspiring majesty. Adventurers can even brave the Colorado River’s rapids on single- and multi-day expeditions. Long a favorite shooting location of Hollywood filmmakers, more than a dozen features have been filmed at the Grand Canyon, but the park had luminaries backing it long before the glory days of the silver screen. Naturalists, artists, progressives and presidents helped shape the canyon politically, combining forces in the late 19th and early 20th centuries to set it aside for future generations. The park’s present grandeur is a resplendent and constant testament to their struggle, and the traditions of conservation and preservation that sustains it.